As I mentioned before, this year I want to be a bit more transparent about what the EclipseCon Program Committee is up to while we plan for EclipseCon 2011. One of the first actions we do as a committee is brainstorm ideas for keynote speakers. In the upcoming weeks, we will finalize our list of keynote speakers. I know many of you that attend EclipseCon have attended many other conferences and have a wide variety of experiences with keynote speakers, if you have any suggestions the EclipseCon program committee will greatly appreciate it. We have already come with a preliminary list of our own but I would love to involve the Eclipse community in the process. 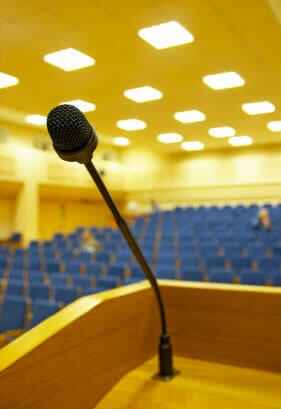 So, who would you like to see be a keynote speaker at EclipseCon? Or who would you NOT like to see? What do you like in a keynote speaker? Next Post →Joining the Eclipse Indigo Simultaneous Release?